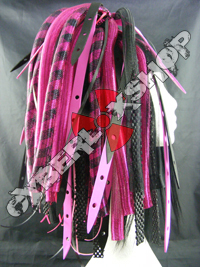 CyberloxShop Glow In The Dark Jumbo Braid - CyberloxShop - The UK's No.1 cyberlox shop! 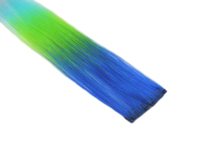 Our Glow In The Dark hair is 100% synthetic fibre. 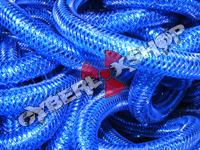 It can be used for braids, twists or any other type of braids style. 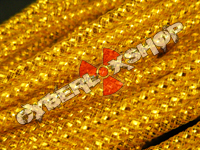 It can also be used as loose falls and is a great addition to any freestyle dance costume. 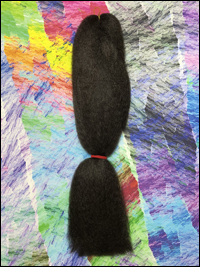 The hair is mostly sleek with a very subtle kink to the texture. 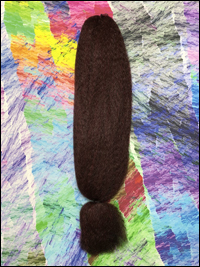 We would recommend that for making smooth dreads, you blend it with another colour as it may not seal completely if you use only this hair to make the dread. 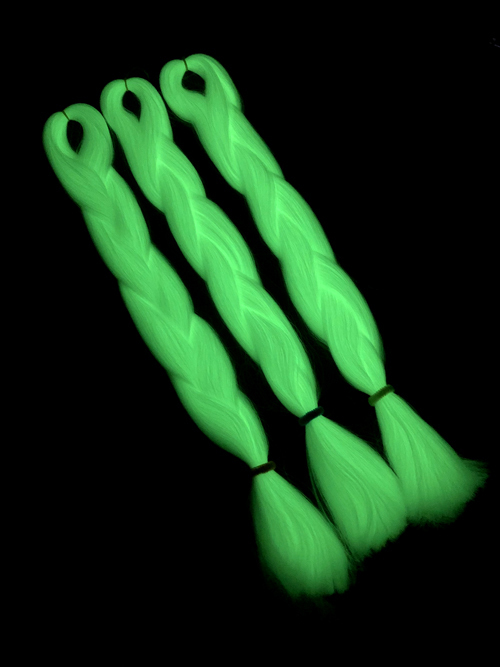 However, you should be able to make a full crochet dread from this glow in the dark hair. The hair is high heat resistance so any attempt to seal should be made with a high powered steamer. 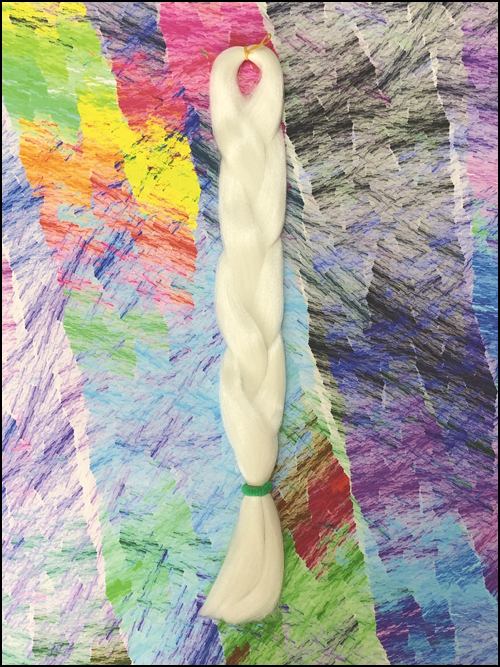 This super versatile glow in the dark jumbo braid braiding hair will definitely help make your hair creations stand out from the crowd, day or night! 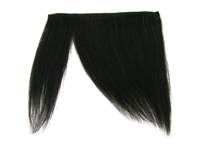 • Length: 48 inches approx. For best glowing results, you need to 'charge' this glow in the dark hair by leaving it in strong daylight or under a bright artificial light or UV light to make it glow like crazy! 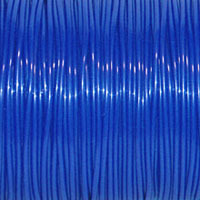 This braiding hair also glows well under UV blacklight so is the perfect addition to your clubwear wardrobe. It will glow lightly but for a brighter glow, always recharge it under a light where possible. When it glows, it glows a vivid and very cool neon green colour. When not charged, it is mostly off white with a very subtle light green tone.